This site is still under construction, but the design process is complete. 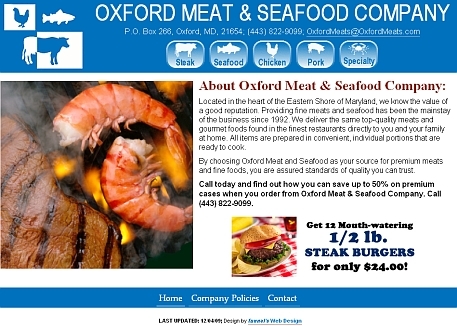 The owner of Oxford Meat & Seafood contacted me early in 2009 about updating his site design and adding an online store. His highest priority was the addition of the online store, so I took a very basic approach to the website: I based my design on the previous design. The addition of the online store is pending client approval.